A happy and safe concert season to you all! 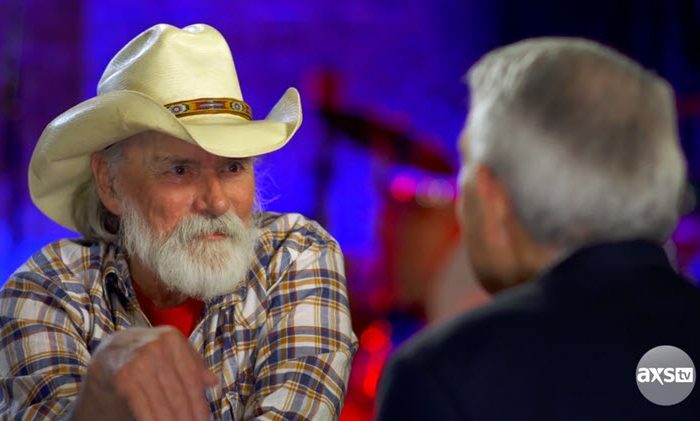 Los Angeles, CA (December 13, 2018) – Dickey Betts—the acclaimed guitarist, songwriter, and founding member of the seminal Southern Rock outfit The Allman Brothers Band—joins Dan Rather for an all-new episode of The Big Interview, airing Tuesday, December 18 at 9pE/6pP. In this exclusive preview, Betts discusses what drove him to return to performing after hanging up his guitar in 2014. He explains, “I missed it. I just done it so long… I really started missing being on the road and, you know, getting out and doing things like this. Meeting people.” He likens his return to that of another legend, who enjoyed success after a brief hiatus, saying, “I feel kinda like Tiger Woods coming back. [After] four-and-a-half years, I’m really trying to play par, ya know. I don’t think you ever quite feel like you’re there, but I’m getting’ better at it.” Watch it here. Also during the discussion, Betts examines his role in keeping The Allman Brothers Band’s tremendous legacy alive; reflects on the ups and downs of his relationship with the legendary Gregg Allman, with whom Betts was able to make peace before the singer’s death in 2017; and details his creative process in writing landmark hits such as “Ramblin’ Man” and “Jessica,” to name only a few, which were widely responsible for the band’s meteoric rise. To see more of this insightful episode, tune in to The Big Interview on Tuesday, December 18 at 9pE/6pP, only on AXS TV. Bill Graham and the Rock & Roll Revolution is both a deeply personal reflection on Graham’s life and an exploration of how Graham helped transform rock music into the immersive, multi-dimensional, and highly lucrative phenomenon of rock theater that persists today. Treasured photographs and artifacts from Graham’s early life and career will be on loan from the Graham family, many on view to the public for the first time. Also for the first time ever, preparatory drawings and the original artwork of several iconic Fillmore concert posters will be on museum display, revealing the signature visual styles and creative process of poster artists Bonnie MacLean, Wes Wilson, David Singer, Greg Irons, and David Byrd.